The Boston University Center for Biomedical Mass Spectrometry facilities, comprising the Cardiovascular Proteomics Center, Mass Spectrometry Resource, and Shared Mass Spectrometry Instrumentation Laboratory, has two locations on the Boston University Medical Campus: the brand-new BioSquare III building, 670 Albany Street, Suite 504, where most of the labs and offices are located, and the Solomon Carter Fuller building, 85 East Newton Street, M-1006, where the cryoFTMS research work is being carried out. Click here for a printable campus map. BY TAXI–Visitors should specify to be let off at 700 Albany Street. Enter 700 Albany then walk through the lobby exiting the rear of the building to the BioSquare III building, at 670 Albany St. BioSquare III is directly behind 700 Albany St. Suite 504 is on the fifth floor. 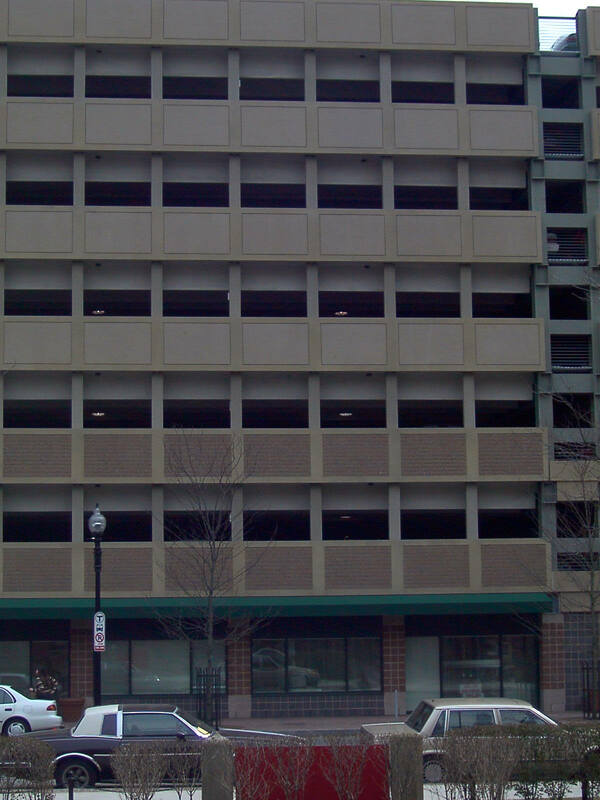 Visitor parking is available in the covered garage next door at 710 Albany Street (see image above). The garage is across from the courtyard of the School of Medicine main entrance (below, image). The Office of Parking and Transportation Services manages the parking complex for patients, staff, and visitors. Rates are $30 for a full day of 7 or more hours.